If it’s true that President Donald Trump, once the host of “The Apprentice,” knew what he was looking for in the game show, then it’s highly likely he had a profile of the perfect candidate for his FBI Director drawn up in detail well in advance. With a clean bill of health, physically, morally, and politically. He has little use for the First Amendment, opposing vehemently the exercise of the right of free speech by Julian Assange and his WikiLeaks whistle-blowing website. When Trump announced that he was “very close” to nominating someone for the position (his “soft target date” was Friday, the day he was to leave on his nine-day trip to the Middle East), and appeared to favor Lieberman for the position, pushback was immediate. But not from the expected sources. The New York Times said Lieberman “would be an atypical choice to lead the F.B.I., whose agents prize the bureau’s independence … judges and former prosecutors … have frequently been chosen [instead].” Following a closed-door Democrat luncheon on Thursday, Senators Sheldon Whitehouse (D-R.I.) and Richard Durbin (D-Ill) also backed away from supporting Lieberman for Senate confirmation if he were nominated by the president. Politico interviewed a number of Democrat senators for its story on Lieberman and noted that all of them “said the former Connecticut senator lacks the kind of experience needed for the post.” Sen. Claire McCaskill (D-Mo.) told Politico, “We need a law enforcement professional, not someone who’s run for [political] office. 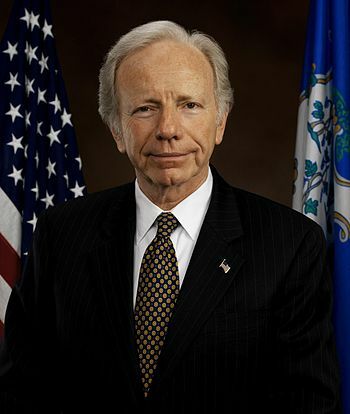 We don’t need anyone who’s put on a red shirt or a blue shirt, or who’s campaigned for president.” Lieberman was Al Gore’s vice-presidential nominee in 2000. All by itself this pushback from Senate Democrats could spell the end of the confirmation process if Trump names Lieberman to the position. This would be remarkable as in the past nominations for the position sail through the Senate with nary a dissenting vote. But there’s more. Much more. The John Birch Society has been tracking the voting records of elected representatives and senators for years, rating them based on their adherence to constitutional principles of limited government, fiscal responsibility, national sovereignty, and a traditional foreign policy of avoiding foreign entanglements. Based on his cumulative scores in the society’s Freedom Index from 1999 through 2013, Lieberman scored a dismal 9 out of 100 possible points. In other words, he voted in support of the Constitution to which he pledged fealty four times, fewer than one time out of ten. To put this into perspective, Lieberman’s voting record is far worse than that of radical leftist Keith Ellison, a member of the House from Minnesota and now serving as co-chair of the Democrat National Committee. Ellison has a Freedom Index rating of 25. Lieberman’s record on guns is abysmal. He voted against legislation to allow law-abiding Americans to exercise their Second Amendment rights in parks, on trains, or in the District of Columbia. He supports so-called “gun-free zones,” which turn innocent civilians into sitting ducks…. As FBI director he would have an enormous influence over gun policy…. Trust us. No one who would be acceptable to [Senate Minority Leader Democrat Charles] Schumer would be any friend of the Second Amendment. Lieberman comes from one of the most vicious anti-gun states in the union. So restrictive is the law that passed in 2013 that required every law-abiding owner of an AR-15 rifle to fess up and register it with the state that most of them didn’t bother. Of the estimated 350,000 rifles owned by the state’s citizens, less than 15 percent of them have been registered, turning between 20,000 and 100,000 of Connecticut’s gun owners into criminals. What stopped enforcement in its tracks was the discovery in March 2014 that two-thirds of Connecticut’s law enforcement officers had failed to register their own firearms under the new law. One nice thing about Trump being away for nine days is that he can’t wreak any damage until he returns. Last week he not only interviewed Lieberman for the position (who left the interview giving a “thumbs up” to the press), but also interviewed Oklahoma Governor Frank Keating, Richard McFeely, a former top FBI official, and acting FBI Director Andrew McCabe before leaving. In addition Trump is still seeking to interview other applicants for the position with another possible contender being Adam Lee, a special agent in charge of the FBI’s Richmond, Virginia, field office. This gives pro-Second Amendment groups like the GOA the time to galvanize its 650,000 members into flooding the White House with letters, emails and phone calls protesting Lieberman. That should be sufficient time for them to remind him of his campaign promises, forcing him to toss Lieberman back into the dustbin of history where he has been residing since he left the Senate in 2013. This entry was posted	on Tuesday, May 23rd, 2017 at 5:30 am	and is filed under Constitution, Politics. You can follow any responses to this entry through the RSS 2.0 feed. You can leave a response, or trackback from your own site.